I thought yesterday was Thursday for a bit. I posted a review, walked away, and then got to thinking I have my days mixed up. I considered double posting, but instead I will just be a day late. I am not even sure how many books I am reading. I went through my pile yesterday and actually decided to put some books aside because they were not really working for me. I hopefully will get back to them in the future. I just need to get settled in with a good book and then hopefully I will be able to get back to reading. I am finding it hard to get into anything. Dracula by Bram Stoker - I have no idea how much longer it is going to take me to finish this book. I know the e-reader gives me a number, but there is something to be said to skipping to the end of the book to see how much further it is. When I read e-books I feel like there is no real end and sometimes I am surprised when I get there. I thought there was like 10 more pages in The Woman in White, for example. Those pages turned out to be about copyright and all that stuff. This book tells you page count chapter by chapter, so you don't even know how many pages it is going to be. 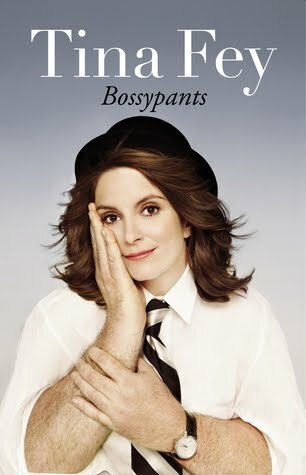 Bossypants by Tina Fey - I have been waiting for this to come in at the library for a long time. It's a lot of fun! I think I would have wanted the audio version, but this came in first, so I will go the reading route and then maybe listen to it later. I think once I get a chance to devote time to this book it will take off for me. The Return of Captain John Emmett by Elizabeth Speller - I have read a lot of positive reviews of this book. 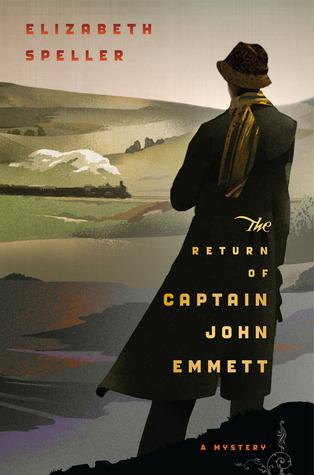 I originally requested it through NetGalley, but when I went to read it they had archived it before I got a chance. I was disappointed, but when I asked the library to buy it for me they did. I enjoy the time frame, so I am looking forward to getting caught up in this book. That can always change, though. I'm looking forward to your thoughts on the Speller! And wow, that cover is so different from the UK one. I really hope you like Dracula. It is one of my favorite books! I keep losing track of the days of the week, too, although I did manage to get my Fiona Friday post up at the right time. Looks like you're reading some really fun stuff, except for Dracula. I never could get into that. I know what you mean about the numbers in an e-reader confusing the issue. Most of mine have the percentage of pages read, not actual page numbers. And, you never know if there's going to be an extra chapter from another book at the end or some other mishmash. I still love my real books best. Hey i am a fellow netgalleyer too, if you still have the email to confirm your request, you can always email the publisher and let them know that you were approved but the title is archived. I had one that archived i guess right after they approved it but they sent me the files in an email. (But I guess you got it worked out for this title). 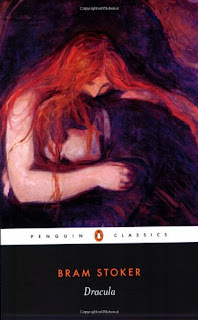 Dracula is on my TBR list for a while. Maybe read it for RIP this year. Bossypants cracked me up! And I loved Unbroken - I think you will, too. For the first time in weeks, I don't have any reading plans. I have stacks of unread books all over my house but I have almost no idea what to read next week. How's Dracula going? I really enjoyed Bossypants! Hope you think its funny too! Lots of good books. I can't wait to hear what you think of Bossypants and Dracula. I want to read that one this October. I have a Speller book waiting for me at the library! I think it is this one but don't hold me to that! **Ana: Yes, that is quite the different cover, I must agree. I hope I enjoy it, too. I haven't had much time to read it since Friday. **celawerdblog: I hope I do, too! **Bookfool: I know. I think time just goes by too fast and I am left shocked we are at a certain point all ready. **Starr: Oh, that's good to know. Thanks! **srivalli: It was on mine for quite some time, too. I am hoping to finish it this week. **Carrie: I am enjoying Bossypants so far. Hopefully I get a chance to read Unbroken! **Darlyn: I saw a really bad Dracula movie years ago, but not the Keanu Reeves one. **Vasilly: I have been carrying books around with me that I want to read soon, but first I have to finish what I am reading currently... Dracula is pretty good, but not amazing so far. **Amused: I am enjoying it so far! **Kim: I am hoping to finish Dracula later this week. **Marg: It is pretty good so far and I enjoy the setting/time frame.